Also available in German from Schwarzkopf & Schwarzkopf and in Portuguese from Rai Editora! The kids in McKinley High School’s glee club, New Directions, might not be the most popular, but Glee is unquestionably a runaway hit. Since its premiere in May 2009, Glee has exploded as one of the most popular hours on TV, earning an astounding 19 Emmy nominations in its first season. In addition to the show’s staggering success, Glee’s songs have been heating up the music charts, with 25 tracks on the 2009 hot 100 list, a hit-rate topped only by the Beatles when they had 31 hits in 1964. 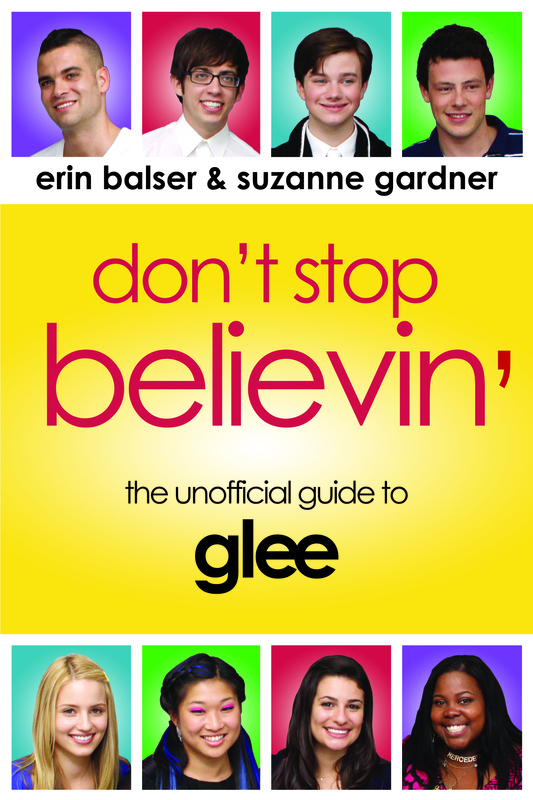 Capturing all the highs and lows of this ground-breaking series, Don’t Stop Believin’ is a show-stopping guide to Glee’s journey — the perfect companion for fans who demand an encore once the curtain falls. – Danielle, What Would Emma Pillsbury Wear? 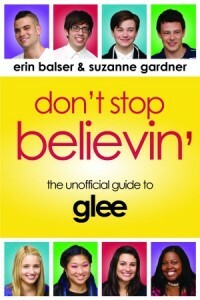 Download a PDF excerpt of Don’t Stop Believin’: The Unofficial Guide to Glee, and then go buy a copy so that you can read the rest!